Well done to our Walk to School winners for January. It has been a cold month so good on you for walking. 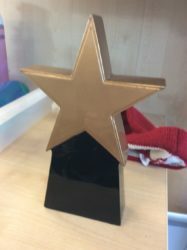 Miss Hunt – P2 and Mr Torrens P6 are top of the leader board with 78% of their classes walking!